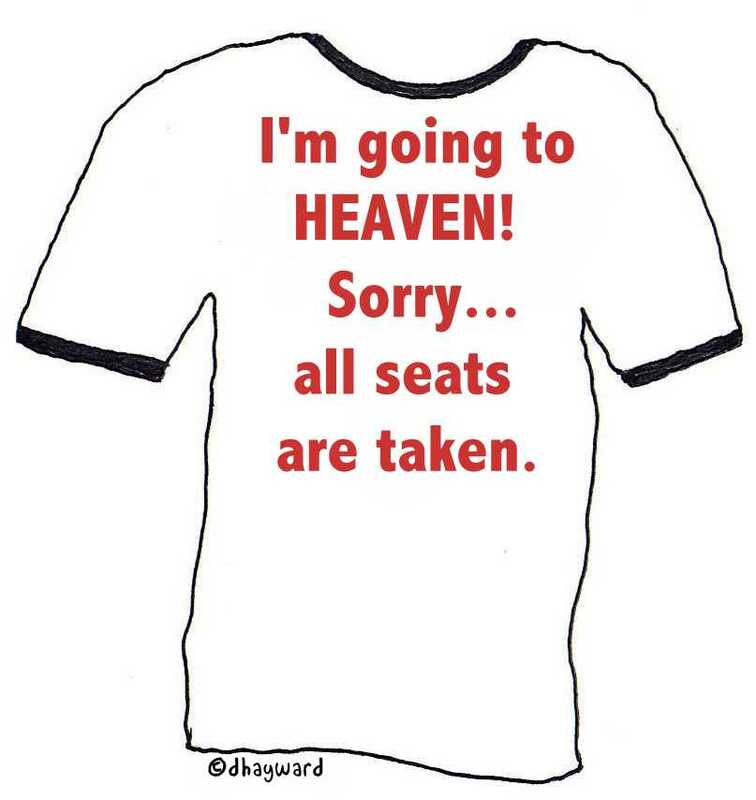 So Calvinism, of all things, is becoming popular among Evangelicals. I remember a few years ago Dietrich Bonhoeffer was all the rage, and Evangelical studies of The Cost of Discipleship were spreading like the plague. Of course, it was hardly mentioned that Bonhoeffer was a Lutheran and so was his theology, but his writings were finding a new popularity. These days, John Calvin is finding some new popularity among North American Evangelicals. According to this New York Time Op Ed, it is actually among many pastors that Calvinism seems to be creeping back into Evangelical churches and pulpits. The apparent reason for this renewal is that Calvinism provides an alternative to the prosperity gospel of Joel Osteen and the like. Calvinism does offer a good critique of the prosperity gospel, with its more realistic and honest stance on human beings and sin. Calvinism also invites a deeper understanding of scripture and deeper theology than “God will make you rich if you are good Christian”. I can understand why many are turning to something meatier in the face of Joel Osteen and others. As Lutheran, this is kind of like watching your family, friends and neighbours become fans of your favourite sport which is great, but then realizing they are all cheering for a rival team. Finally, people are watching the right sport, but cheering for the wrong team is almost worse than not playing. Now, some are reacting to Calvinism’s strict view on salvation and predestination. Benjamin Corey over at Patheos has written a couple of great posts about this. 5 Reasons Why Calvinism Makes Me Want To Gouge My Eyes Out and Love Doesn’t Kidnap: Why I Believe In Free Will Over Predestination. He rightly points to some of the deeply problematic consequences of the strict view of Double Predestination held by Calvinists. However, as Calvinism (and its issues) comes up over and over again, I am surprised that Martin Luther is hardly mentioned. There would be no Calvin without Luther, so it is odd to debate the finer points of Calvin’s theology, without looking to Luther’s. Now, I know should probably stop trying to say how great Lutheranism is, however, this justification stuff is exactly where I think Lutherans have the strongest theology there is. The problem of the reformation was that most reformers wanted to express justification in terms that didn’t involve good works that earned merit for salvation. This lead to theologians like Calvin having to come up with new criteria to determine what saves us. Calvinists say that God chooses ahead of time who is saved and who is damned. In response to this view, Arminians (another reformation movement) say that God decides not to choose, but to let us choose. So those who choose Jesus are saved, those who reject Jesus are damned. The issue for these views on predestination is that they paint a false dichotomy. There is either Double Election (Calvinism) or completely Free Will (Arminianism). These two options are opposites, but they are not the only two out there. Yet, Calvinism and Arminianism, for some inexplicable reason, are the two competing theologies out there for a lot of Evangelicals. Free Will puts a flawed and limited humanity in the position of having to choose God, despite our difficulties and imperfect ability to make good choices in all other matters – from choosing dinner off a restaurant menu, to choosing all manner of sin in regard to how we treat our neighbour. We are free in all areas in respect to our actions towards our neighbour. We are free to reject God. We are NOT free to choose God. The good works/indulgence mess required that the reformers describe salvation as entirely the work of God: We do not participate in our justification or salvation – God extends that grace completely on God’s own. We do not choose it, we do not earn it, we do not facilitate God’s grace giving action. And because God is the source of all grace and mercy, God does choose those who are saved. Calvinists would agree on this point. However, Luther also saw that Christ’s death was not limited, but for all people, all creation even. God’s desire is to save all of creation. Arminians would agree on this point. So does that mean that all creation will desire to be saved? No. Will God force salvation on us? No. We are free in will to reject God. In fact, as human beings we are good at this. We often choose to be God in God’s place, as is the condition of Original Sin. We may choose God today, but will we choose God tomorrow? We are fickle creatures. In Luther’s view, he saw that because God had given us grace freely, without condition, the only choice that we really had to make is to reject God. (Luther did not see “not choosing” as an action of human agency). So our ‘Bound Will’ will chose to reject God. 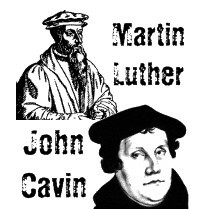 The difference between Luther and Calvin is that Calvin started his theology with the issue of God’s sovereignty, Arminians started from the same point as well. When you start from God’s sovereignty you are bound to end up at Double Election or Free Will. God chooses for us, or God offers a choice. Luther saw God’s chief characteristic as ‘Mercy’. Luther wasn’t really concerned with whether God’s sovereignty is strictly maintained, because the incarnation shows that God isn’t really concerned with that either. Rather, Luther saw a God that was consistently offering mercy to a flawed, limited, sinful, suffering, imperfect humanity over and over again. Forgiveness was a daily exercise for Luther. He would remind himself daily of the Baptismal promises made by God – of Forgiveness, Life and Salvation (he was no anabaptist, baptism is all God’s action). As much as Free Will seems like the answer to Predestination, it is isn’t. In fact, it is just as unloving a choice for God to make, as damning most people is. As imperfect and flawed creatures we simply cannot be relied on to choose God, we would all be damned if it were up to us. God’s real recourse is constant and abundant mercy. God’s alternative to saving some and damning others, or letting us choose, is to be constantly forgiving. Salvation is not about God’s sovereignty, salvation is about God’s mercy. Calvinism and Arminianism ask the wrong question – “How are we saved?” – there is no good answer to this question. Luther was concerned only with this question – “Who is it that saves us?” – the only answer is God. Where does Anabaptist theology fit into this? I know it isn’t Calvinism, but I didn’t think it was Arminianism, either…. and I have no idea how it relates to Lutheranism. Both Calvinism and Arminianism fall into the larger subset of Anabaptist theology. The term anabaptist means to re-baptize, or other words, to make a decision as an adult to follow Christ. Mennonites and other anabaptists might have different views on predestination… but I am not entirely sure what they are. As one of your Calvinist readers, I appreciate the critique but I think it misrepresents Calvinism. I don’t want to get into the finer points since there is much out there to read, but let me make this assertion: Calvinism is not primarily soteriological but doxological. Sovereignty is definitely a major theme in Calvinism but it’s relation to salvation is only but a portion of what sovereignty actually relates to. God is sovereign over everything, not just salvation. Here’s my opinion on why “Calvinists” ask the “wrong question”: as you have stated, Calvinism is “becoming popular among Evangelicals”–I agree! But i believe this is where the soterian emphasis is coming from. Since Evangelicals are concerned primarily with personal salvation, unfortunately, they have extracted (and hijacked) just a bit of Calvinism and have confused it with Calvinism proper. It’s similar to equating Liberty ultimately with Gun Rights (smh) here in America. So, in other words, its not Calvinism (proper) asking and answering the wrong question(s), its the Evangelicals’ with a fixation on “personal” salvation and atonement theory who are. EJ, you took the words right out of my mouth! I SO agree with John Calvin. (I’ve read the Institutes three times, only once for a seminary class. ) As the 1500’s went on and the theological landscape firmed up (some might say, petrified), the later Calvinists got more and more extreme. I agree with you that there IS a considerable amount of diversity in belief among “Calvinists.” BTW, I usually do not refer to myself as a Calvinist, since there is some misunderstanding about that term in general circles. I usually say I’m a Reformed Christian, because that’s my basic belief structure. And Erik, I was baptized and confirmed a Lutheran. I LOVE what you say about Luther’s view of “salvation as entirely the work of God: We do not participate in our justification or salvation – God extends that grace completely on God’s own. We do not choose it, we do not earn it, we do not facilitate God’s grace giving action. 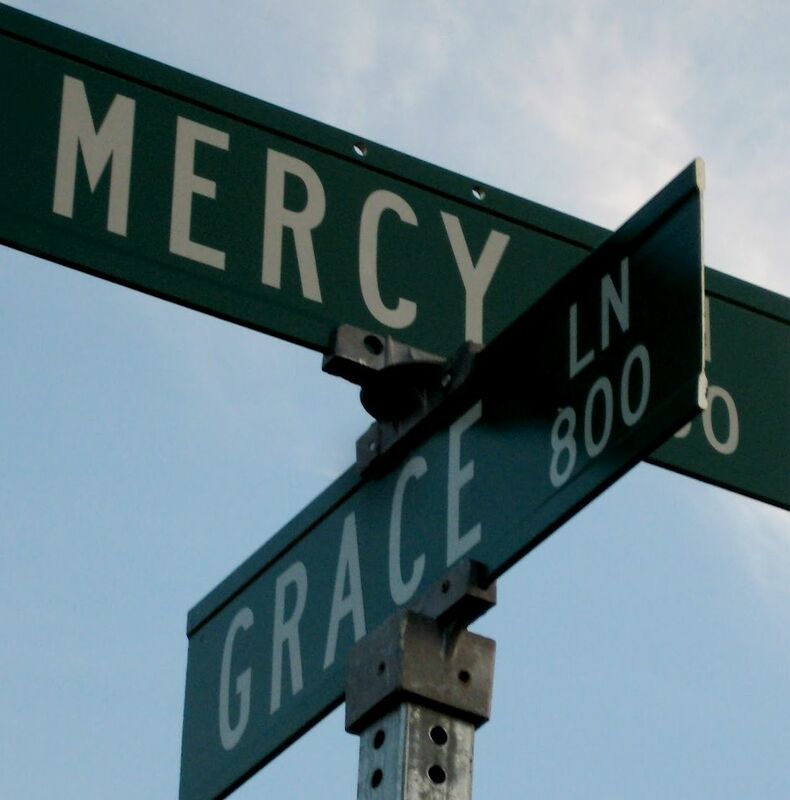 And because God is the source of all grace and mercy, God does choose those who are saved. Calvinists would agree on this point.” Yes, yes and yes! I do look askance at Joel Osteen and his ilk. I dislike casting stones at anyone who gives people encouragement and comfort from Above, though. Why not own your view? Amyraldism is a moderate Calvinism that mitigates the double predestination, but that is not what the article refers to as MacArthur, RC, Mohler, Piper, Driscoll etc… claim the 5. If you are truly a 5 point Calvinist, own double predestination as what the issue the author points to as being the contentious part. If you are not a 5 point accept Sproul’s commentary that you are a no-point Calvinist and don’t distract from the lines of delineation the author makes. Non-sequiturs do not a rebuttal make. Either do or do not. There is no try. – Yoda. I would suspect that based on your quick to reaction and attempt sanitize what is TRUE about Calvinism, that you are uncomfortable speaking or thinking Calvinist thoughts. Be careful, that may indicate, according to Calvinist Systematic Theology, that you are not of the elect. Sorry. That is another issue altogether. You might be a Lutheran and not know it. Just like you might be non-elect and think because of Total Depravity that you are elect. And wonderfully for your elect Calvinist friends, that will also be to the glory of God. O for a thousand non-elect tongues to sizzle while singing the Doxology with the Elect but their non-Redeemer’s praise. These thoughts are not comfortable thoughts, but they are the practical outworking of the THEOLOGY expressed by Calvin himself. Dizzying discourse, I know. But, study rhetoric, logic, and the Calvinist system BEFORE you try to browbeat someone by stumping, “They are misrepresenting Calvinism.” Cleary you either do not know that Calvinism refers to Calvin’s teachings, not your understanding of Calvinism, or you are misrepresenting Calvinism. God, the three in One’s action with us is like a light bulb that does not turn off forgiveness, mercy, guidance, love, etc. I have a switch to turn off that light by my free will. But through HIs loving power, He draws me back to turn on the light of His acceptance and my trust. We go from event to event in our lives being open or closed. Accepting Jesus work for us on the cross is His saving Grace and following the Guidance of the Holy Spirit is our help and strength. I am Episcopalian and had a great grandfather who was a Lutheran minister. I was blessed to receive his sermon notes (40) from the 1890’s to 1907. This article has a lot in common with the ones by Mr. Corey and several others I’ve seen recently. It talks a lot more about what your various founders believed than what Jesus said. You are right to some degree. This may sound hokey, but many Christians take seriously the idea that our faith is a communal one. Contrary to individualist American Christianity, faith is something held in community, and what the community has worked out about God over time is important for us. Just like a physicist who relies on the work of Aristotle, Gallileo, Newton, Einstein. Christians rely on the work of our predecessors. I also think we can terribly guilty of insider speak… and assume that all the conversations participants have the same background assumptions. Even as I wrote this post, I tried to think of what many Calvinist, and then what others totally outside of the Predestination conversation might not also assume. And I know that I missed a lot. But as Christians talk about Calvin or Luther, generally there is an assumption of what they said about Jesus. And for Luther, there is an assumption of his own Roman Catholic, and Augustinian background. It is a multi-layered assumption. And ultimately, these questions Predestination are relevant to what is being preached in many pulpits these days… it is hard not to speak with all those assumptions behind you.. especially when Jesus didn’t actually use the word Predestination or Free Will. In the Beginning…….. Augustine ? or Calvin? Luther ? Arminius ?….or ? No…..”In the Beginning was the Word……” Doctrine shouldn’t be Based on teachings of Patristic Fathers or Reformers( but on the Rock of Christ’s Word , & the inspired writings of the Apostles) . The rest were fellow servants along the course of History who sought to fulfil Gods Purpose. Church History on many occasions has whitewashed over the distortions & post Apostolic additions which have been imposed on the Body Of Christ by big names. Objective study of this should keep ” the denominational/ institutional Church” very Humble ? Somewhere along the Way, the institution has decided to feed off its self rather than the Bread of Life John 6:63-68.